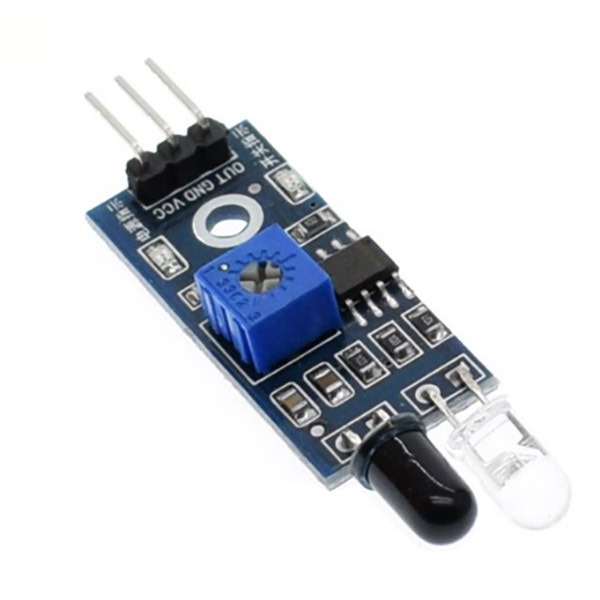 This portable infrared obstacle avoidance sensor module will detect an object from 2cm to 30cm with a detection angle of 35 degrees. It also has a potentiometer which allows you to adjust the detection range of the sensor. Turning the potentiometer clockwise increases the detection range while turning the potentiometer anticlockwise reduces the detection range. The output is digital so the I/O pin should be connected to a digital input of your microcontroller. The IR sensor is a very powerful device used for so many purpose like, a project on a line follower robot for example. looks good, performs as programmed in tests.